We report the recent improvement on the petawatt (PW) femtosecond Ti:sapphire chirped pulse amplification (CPA) laser system at Shanghai Institute of Optics and Fine Mechanics (SIOM), Chinese Academy of Sciences. By enlarging the sizes of the pump and signal beams in the large aperture Ti:sapphire amplifiers and optimizing the whole laser system, the output laser energy before the pulse compressor is upgraded to 42.6 J. 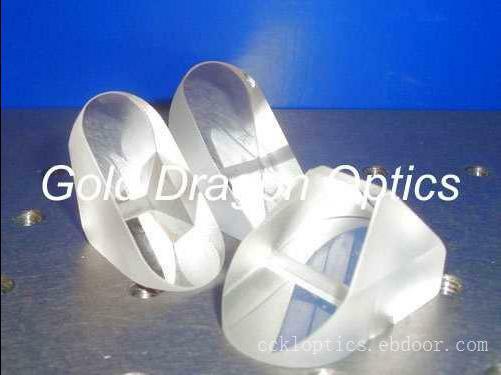 Accordingly, the peak power of the laser system exceeds 1 PW. The shot-to-shot instability of the output laser energy at about 40 J is less than ±5%. Since the advent of chirped pulse amplification (CPA) scheme and the invention of self-mode-locked Ti:sapphire oscillator, ultra-intense and ultra-fast laser systems based on Ti:sapphire crystals have been developed worldwidely for the applications in high field laser physics research. The maximum output peak power is well beyond 100 TW, and the petawatt (PW) level Ti:sapphire CPA lasers have been built recently[3?7] . In this letter, we present the recent improvement on our PW-level ultra-intense and ultra-fast Ti:sapphire CPA laser system. Based on the 0.89 PW/29.0 fs laser system, the output energy is improved by 18.7% with expanding the diameters of the 527-nm pump and 800- nm signal beams in the large aperture Ti:sapphire amplifiers and optimizing the whole laser system. The peak power can exceed 1 PW according to the measured pulse duration in Ref. .
Our CPA laser system consists of a 10-fs oscillator, an acousto-optic programmable dispersive filter (AOPDF), an Offner stretcher, a regenerative amplifier, a 5-pass pre-amplifier, a 4-pass power amplifier, a 3-pass final amplifier, and a 4-grating compressor. The schematic layout of the laser system was described in Ref. . For the energy improvement, the beam size enlarging and optimization were mainly done for the 4-pass power amplifier and 3-pass final amplifier. In the 4-pass power amplifier, we used a new Ti:sapphire crystal with a size of φ40×25 (mm) cladded with carbon-doped refractive-matching liquid. The dopant proportion of carbon powder was optimized . The signal laser beam diameter and the pump beam diameter in the power amplifier were also enlarged to 27 and 32 mm, respectively. The output energy of about 6.0 J was achieved under the pump energy of ～23 J. The size of the new Ti:sapphire crystal was smaller than the original one and the cladding method was improved. However, the conversion efficiency in the power amplifier remained identical under the similar pump fluence. For the 3-pass final amplifier, we enlarged the beam size of the signal pulses from 50 to 63 mm and that of the pump pulses from 60 to 68 mm, respectively. The pump beam is with a quasi-flat-top profile in both spatial and temporal domains. Therefore, a typical single shot output beam profile can be quasi flat-top, as shown in Fig. 1. Additionally, the parasitic lasing suppression ensures the effective amplification even with the higher pump fluence, as shown in Fig. 2. The energy conversion efficiency is about 44.3%, with the maximum output energy of 42.6 J for the pump energy of 96.2 J from the final amplifier, corresponding to a pump fluence of 2.65 J/cm2 . Meanwhile, we also measured the running stability of the system at a high output level, as shown in Fig. 3. The output full pulse energy (40-J level) fluctuation is less than ±5% due to the whole laser system optimization. According to the 29.0-fs pulse duration and compressor efficiency measured previously in Ref. , the output peak power of this Ti:sapphire CPA laser system can exceed 1 PW. In conclusion, by enlarging the sizes of the pump and signal beams in the large aperture Ti:sapphire amplifiers and optimizing the whole laser system, we get the maximum output energy of 42.6 J from the Ti:sapphire CPA laser system. The corresponding peak power exceeds 1 PW. This system will be very valuable in combination with wavefront compensated focus for high field lasermatter interactions research . This work was supported by the National Basic Research Program of China (No. 2006CB806000) and the National Natural Science Foundation of China (No. 60921004).